Paiche chef Jose Luis de Cossio honed his skills as the Executive Chef of Gaston Acurio’s “La Mar” Restaurant in Lima, Peru. 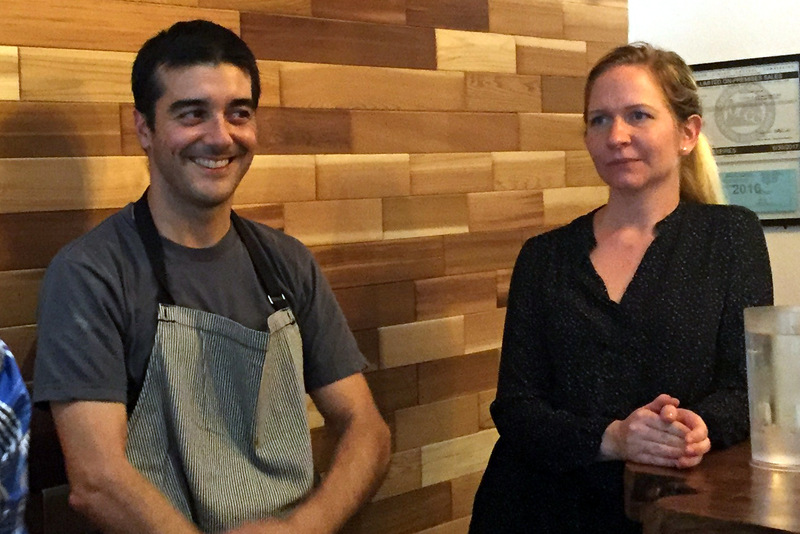 He and partner Casimira offer elevated Peruvian dishes on Corbett in SW Portland. 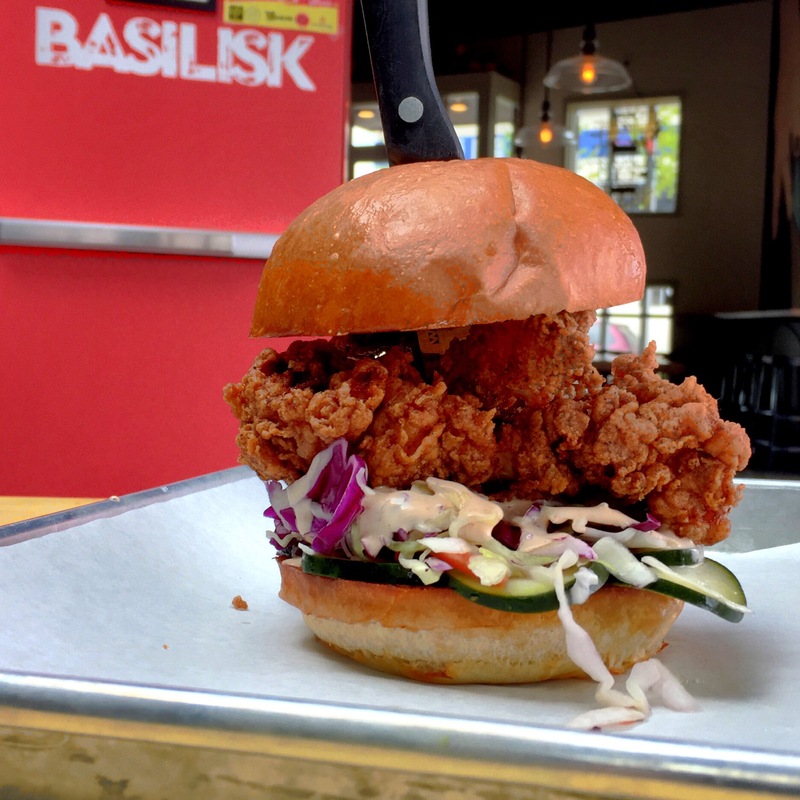 Their restaurant is notable for being open for lunch Wednesday through Friday noon – 4 pm and then for dinner on Saturday 3 pm – 8:30 pm. 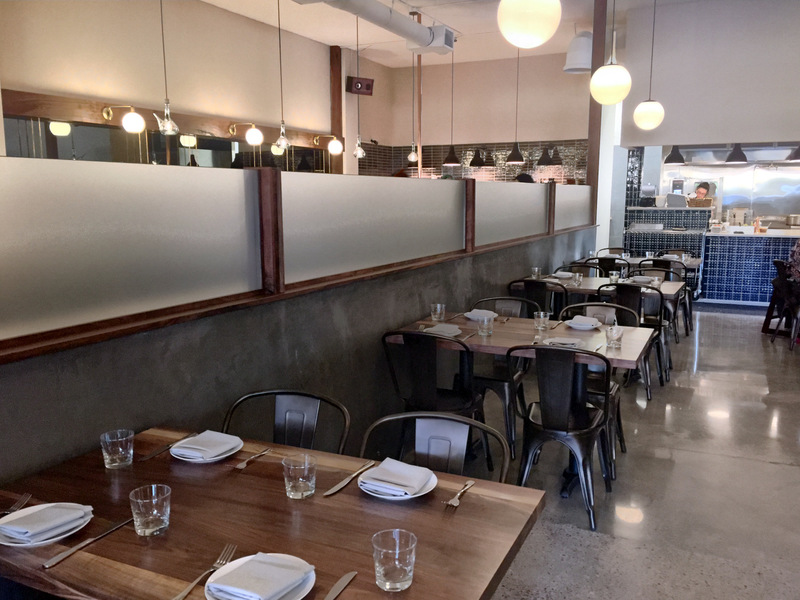 This schedule allows them to have time for their family, and leaves diners eager to catch a seat in their tiny spot nestled below Pill Hill. Chris Angelus brought 20 diners together to fill up the dining room for a Portland Food Adventures Peruvian feast. 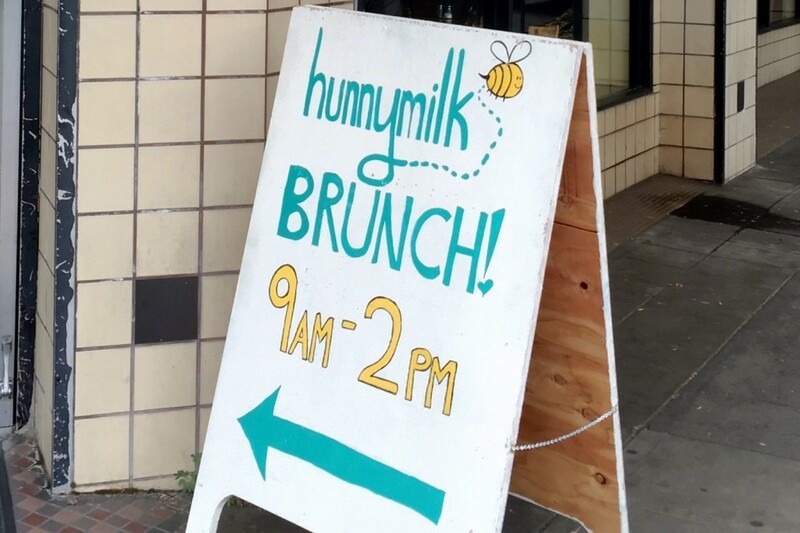 You’ll have to keep your eyes open for their sign, so it’s best to navigate with the street address, 4237 SW Corbett Ave. Portland, OR 97239. Inside there are tables and counter/window counter seating. 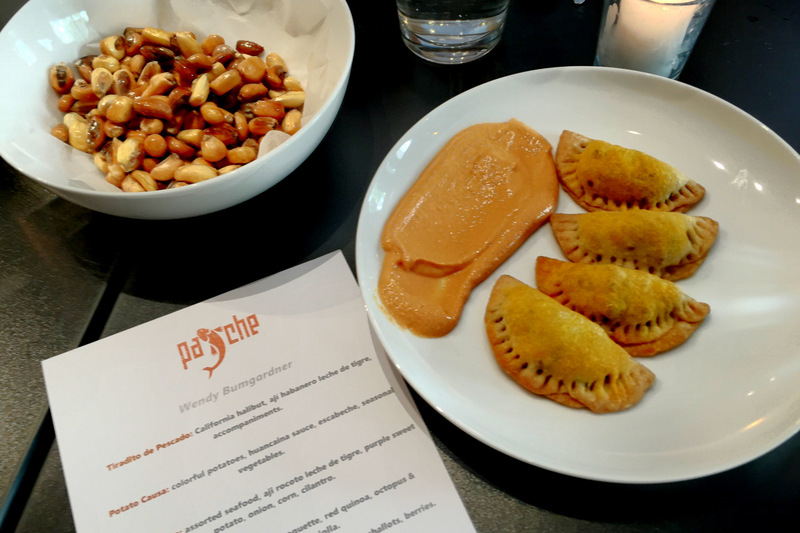 I was not familiar with Peruvian food and on my first stop enjoyed the Pastel de Choclo – Peruvian corn pudding with mushrooms, olives, carrots, peas and cacao nib crumble. 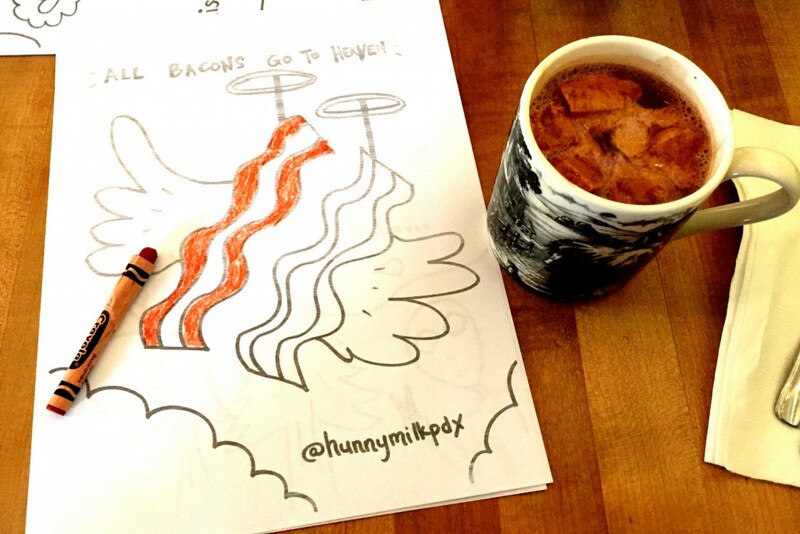 I wanted to come back to enjoy more. Our 8-course meal began with a snack of toasted corn kernals and then the flavorful empanada de papa seca with aji amarillo spread. 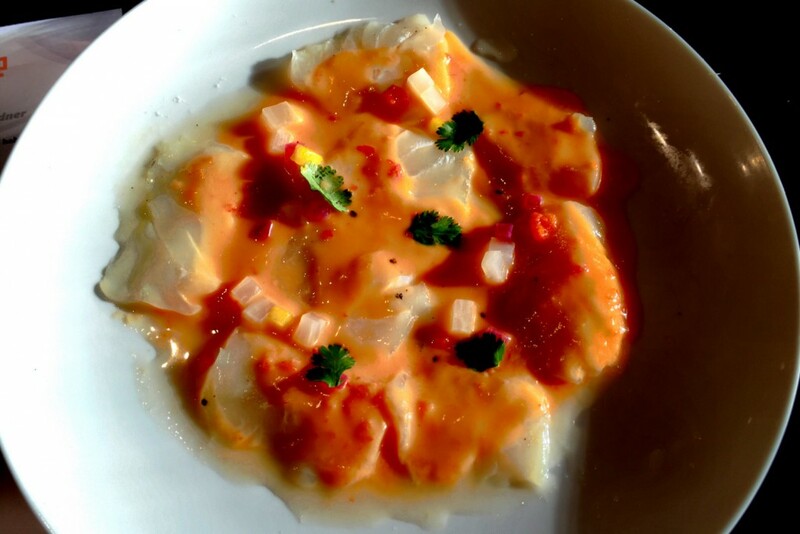 Next, Tiradito de Pescado – California halibut with aji habanero leche de tigre. 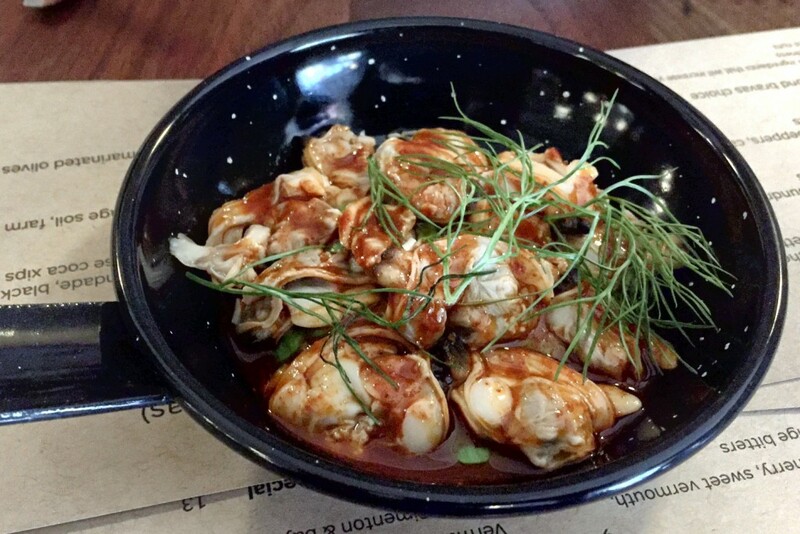 The offerings were all either fish or vegetarian, as Lima is an area with abundant seafood. 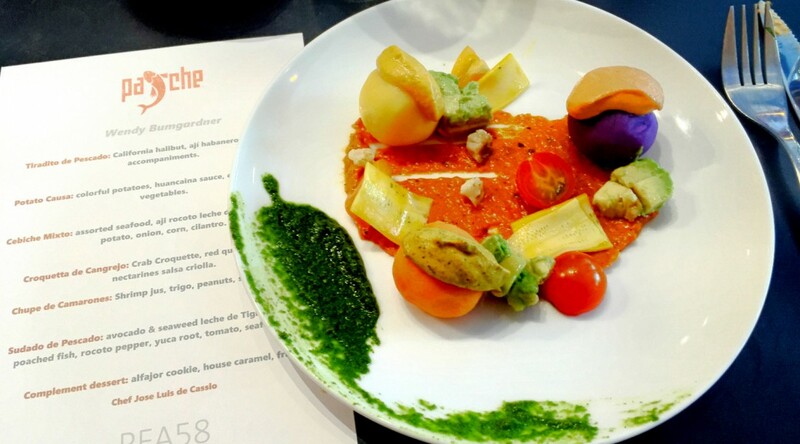 Now for Potato Causa – colorful potatoes with sauces and seasonal vegetables. 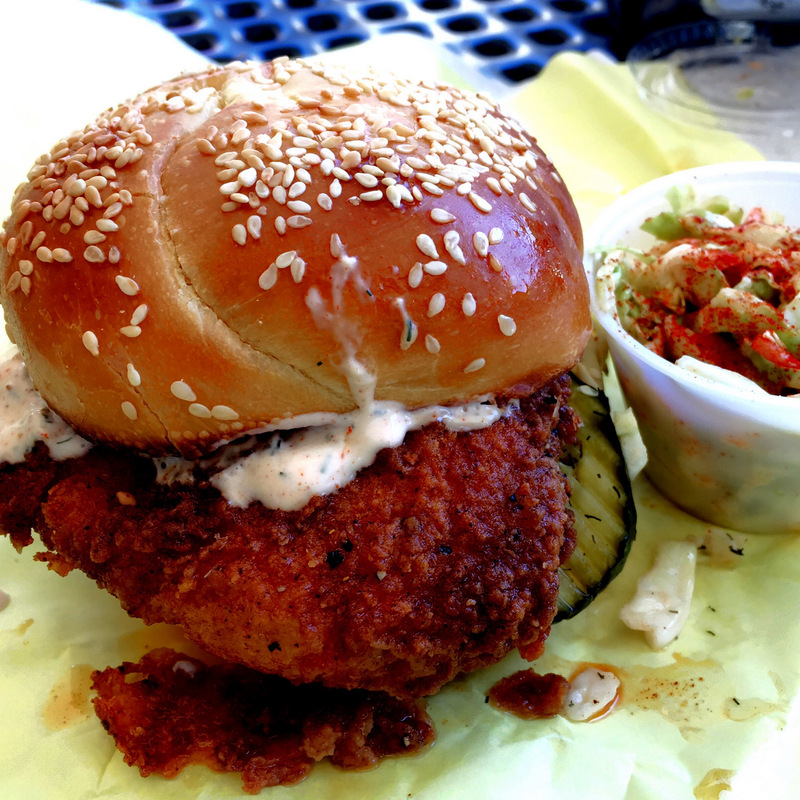 The regular menu offers three cebiches – mixed, pescado blanco and vegan. 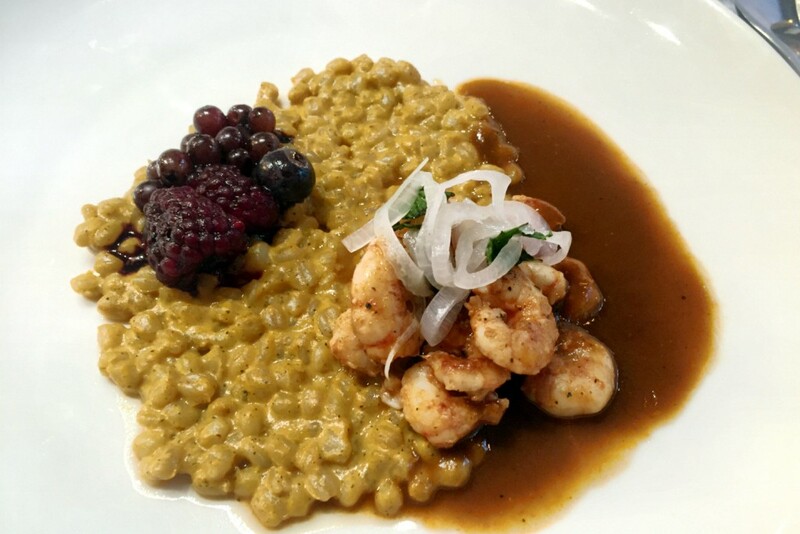 We enjoyed the Cebiche Mixto with mixed seafood, aji rocato leche de tigre, purple sweet potato, onion, corn and cilantro. 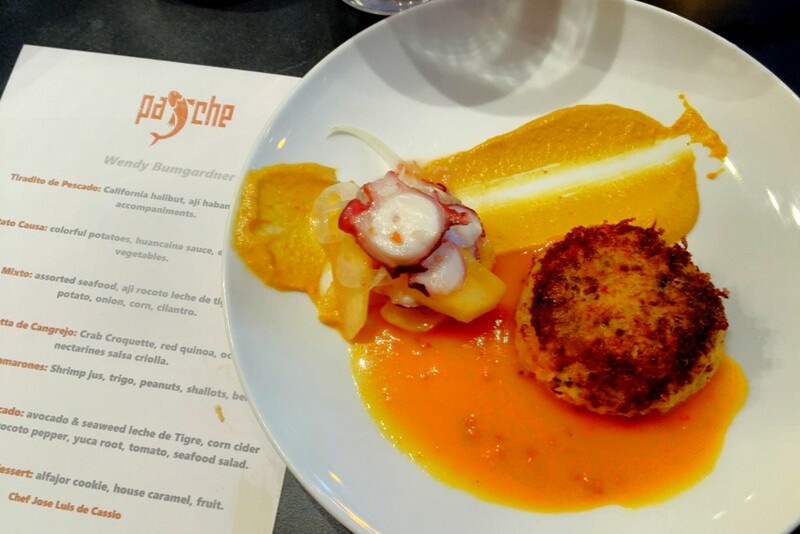 The crab croquette, Croquetta de Cangrejo, included red quinoa, octopus and nectarines salsa criolia. 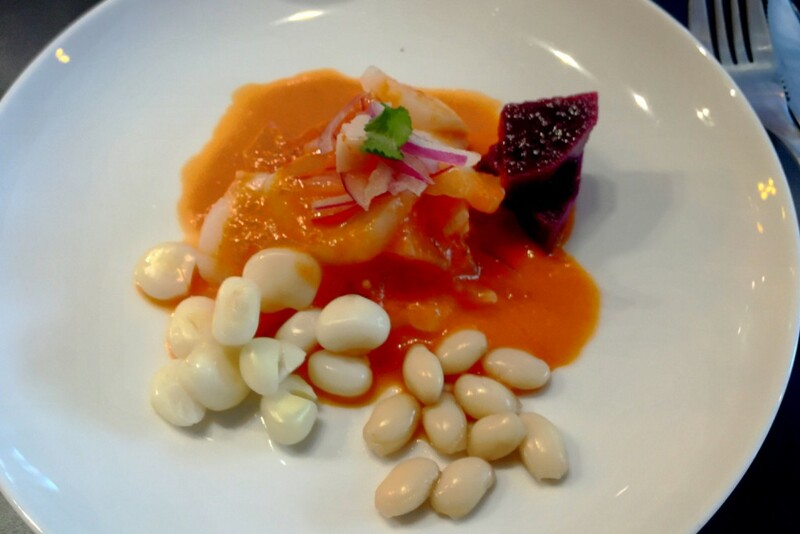 The Chupe de Camarones included bay shrimp with shrimp jus, trigo, peanuts, shallots and berries. 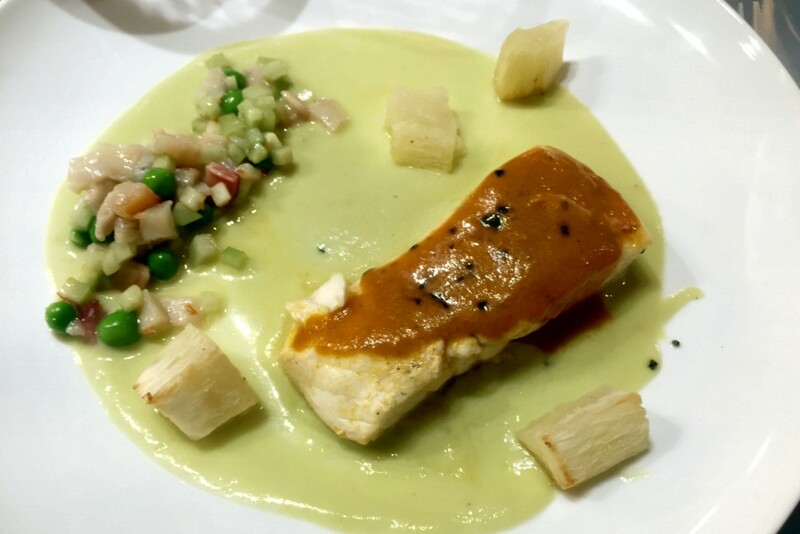 The final savory course was Sudado de Pescado – avocado and seaweek leche de tigre, corn cider poached fish, rocoto pepper, yuca rot, tomato and seafood salad. We were quite full from the savory courses, but the dessert was worth saving room for. The alfajor cookie had house caramel with fruit. 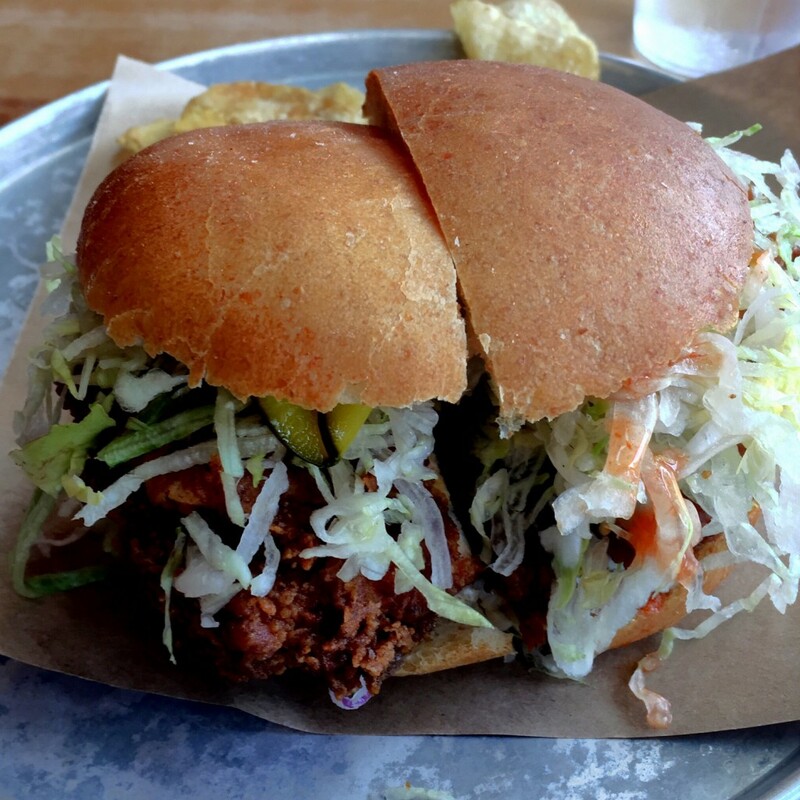 The meal left us very much filled and tantalized to return to explore more. 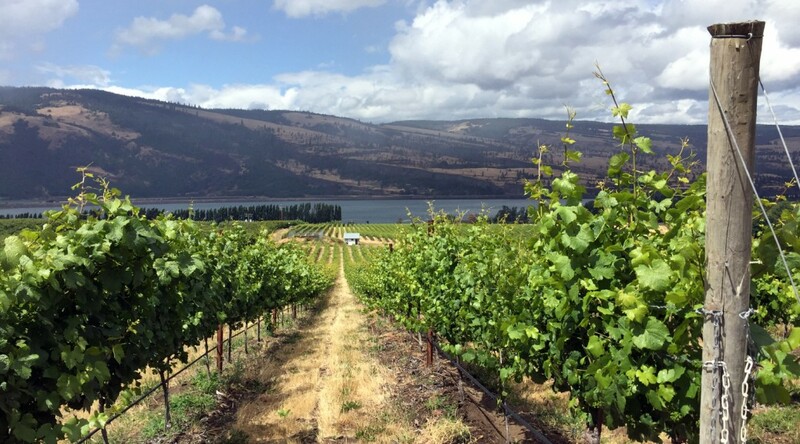 If you need a little getaway from the Portland/Vancouver area or you are visiting and want to sample the best of the Northwest, a great choice is to follow the Columbia Gorge Winegrowers Association’s Spring Trail. Don’t worry, it’s a great itinerary throughout the year. 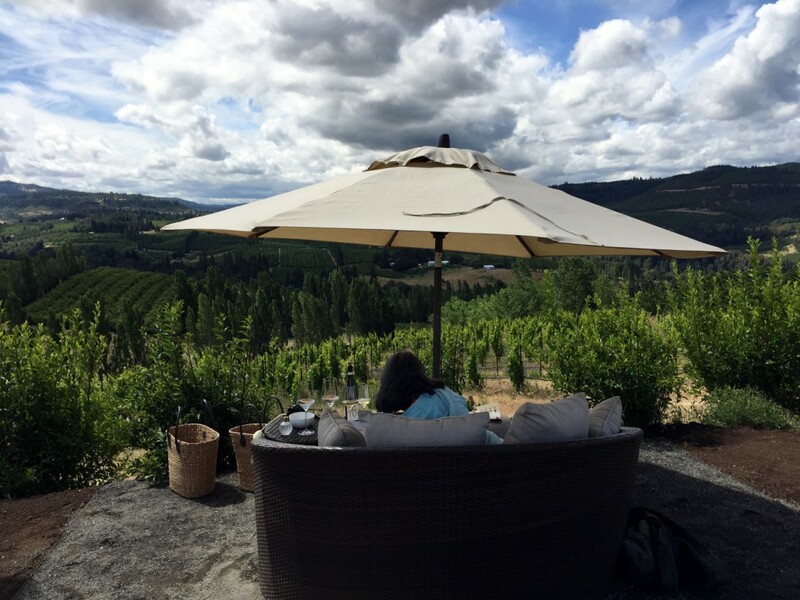 I enjoyed the two-day, one night excursion as they lay out featuring wineries at the east end of the Gorge, which I hadn’t tried before. 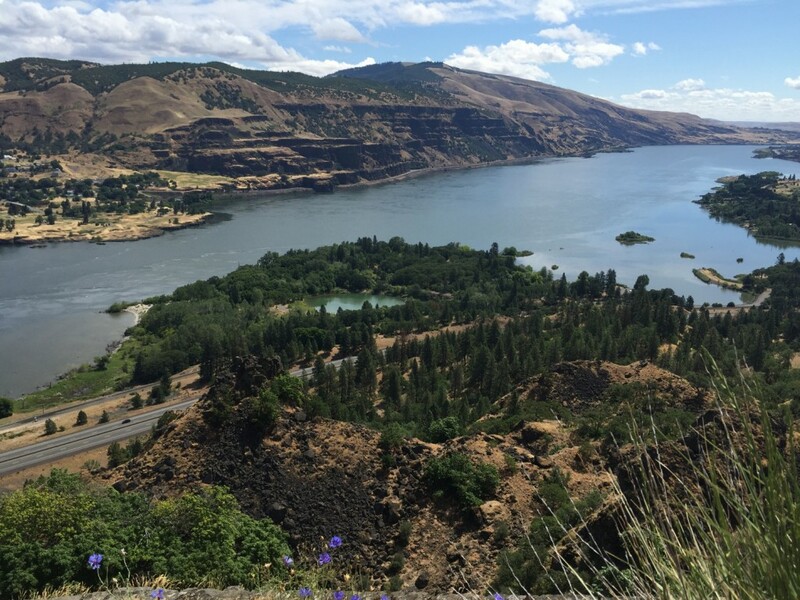 Start off with a drive down the Columbia River Gorge, either on I-84 or Washington 14. 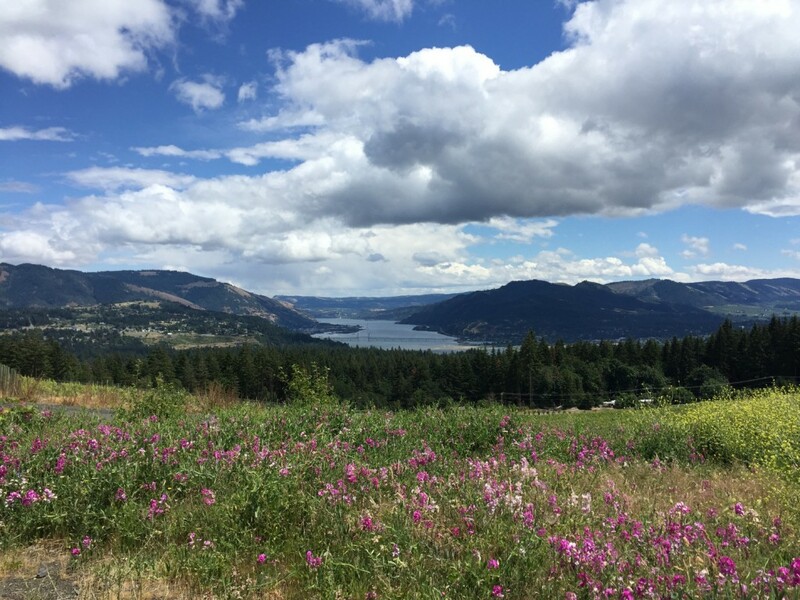 Our first stop was a viewpoint on the Washington side across from Hood River, on our way to our first winery stop. I’ve almost always frequented the Oregon side, so this vista was a lovely change. 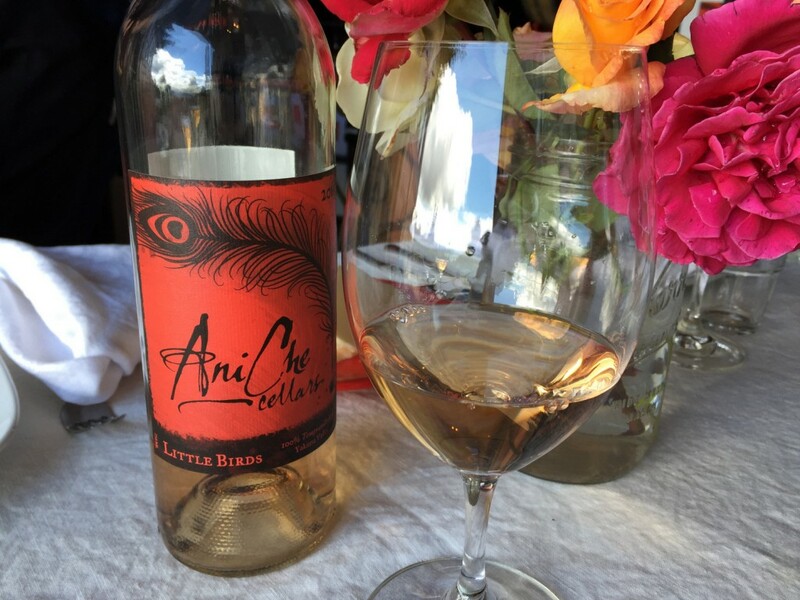 We visited AniChe Cellars at their rustic winery on the Washington side. 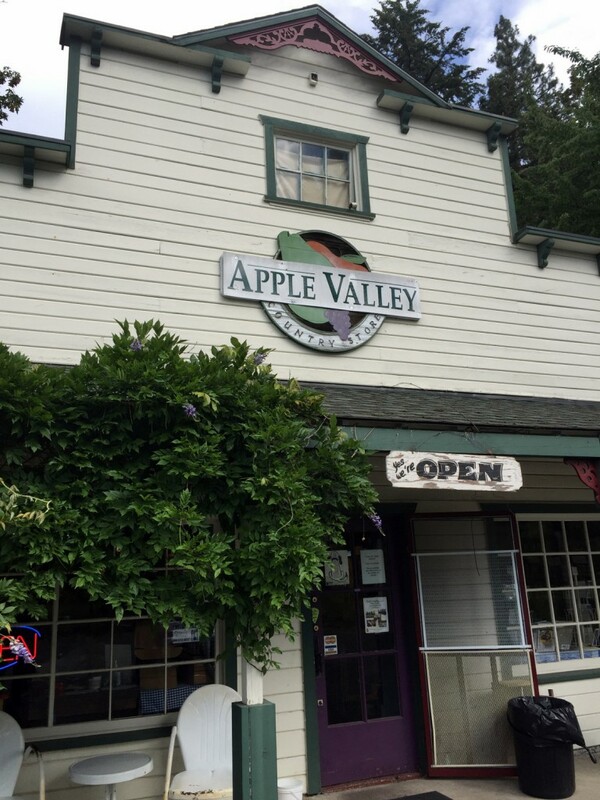 They also have a tasting room in downtown Hood River, Oregon. Owner and winemaker Rachael Horn showed us her ceramic amphora vessels used for some of the wine. Her wines are European-styled and food-oriented. 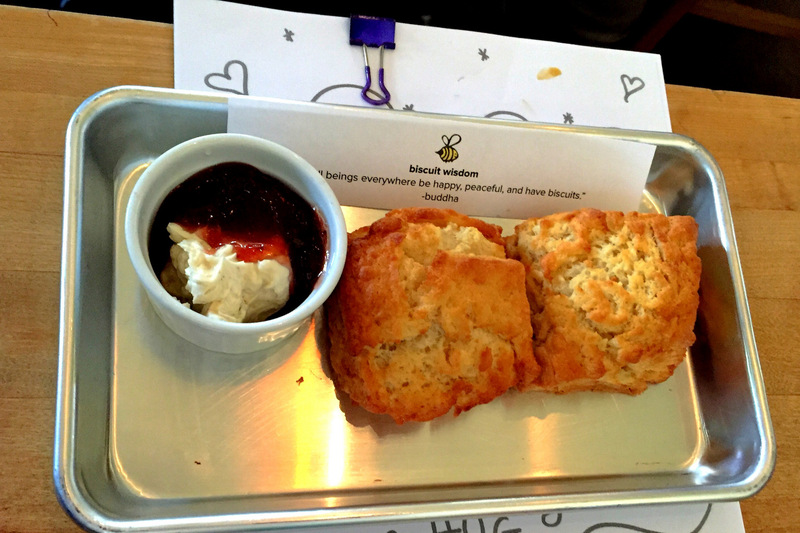 The pairings are done with nibbles to complement them. 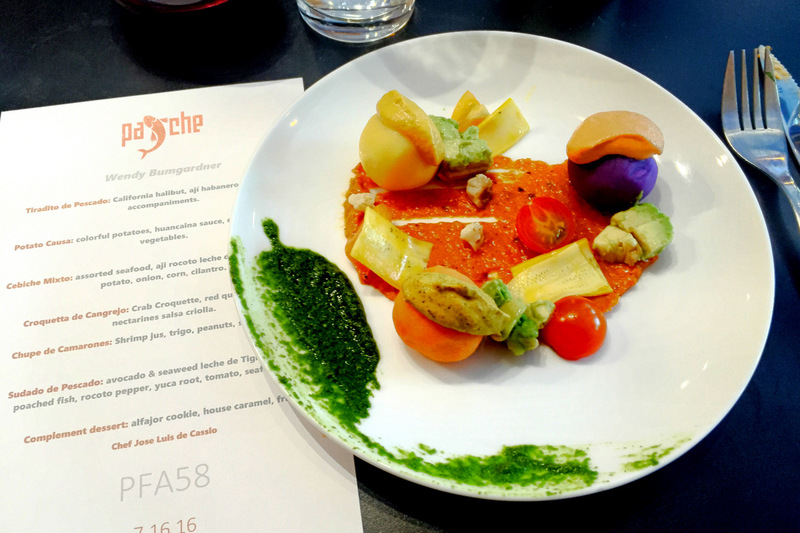 I was sorely tempted to join their wine club to enjoy their food and wine events. The vista from the winery was magnificent. 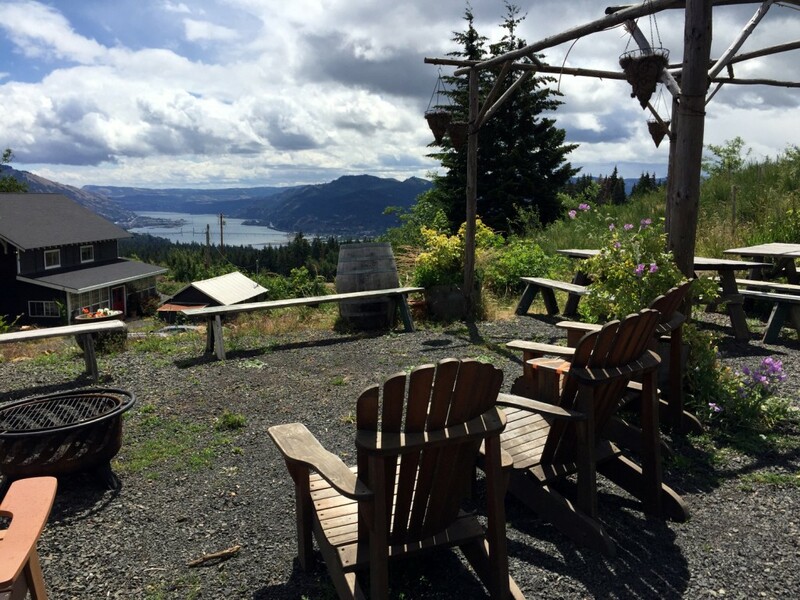 The winery tasting room is open noon-6pm Wed-Sunday while their Hood River tasting room is open 12 pm Thursday through Monday, closing at 6 pm except for Friday and Saturday when they close at 8 pm. 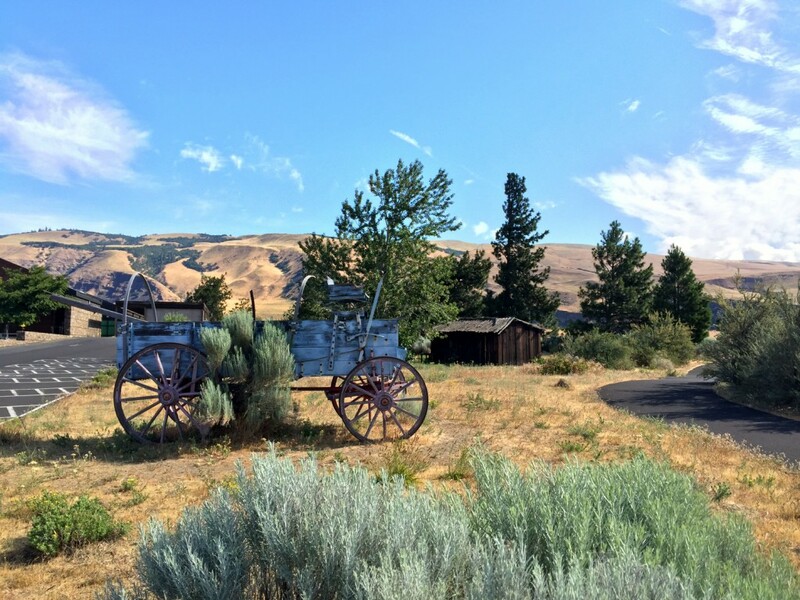 The wine trail suggests a walk or hike to Mosier Creek Falls and up to the Mosier Plateau. We went up the trail past the pioneer cemetery to view the falls. 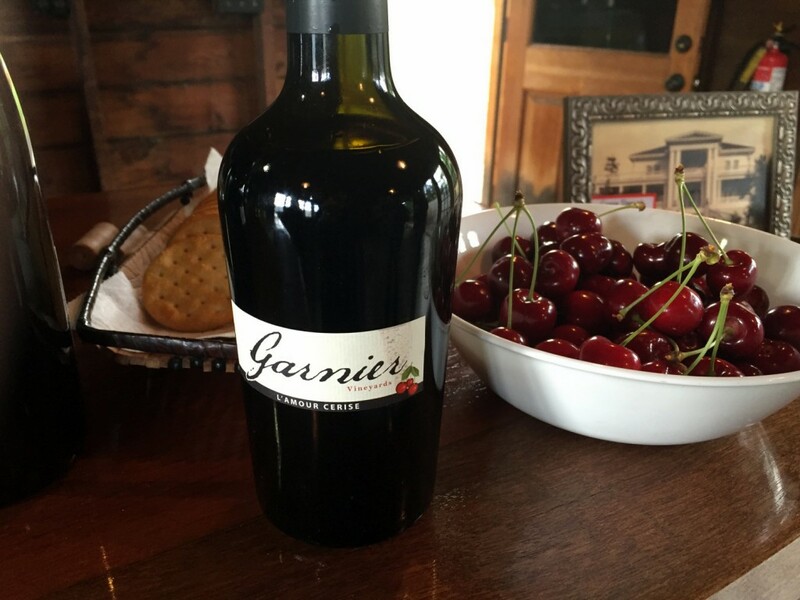 Our next winery stop was Garnier Vineyards on the Oregon side, east of Hood River. They have over 300 acres of vineyards on the historic Mayerdale estate in a variety of microclimates. This family-owned vineyard has a nice tasting room with views of the hillsides. 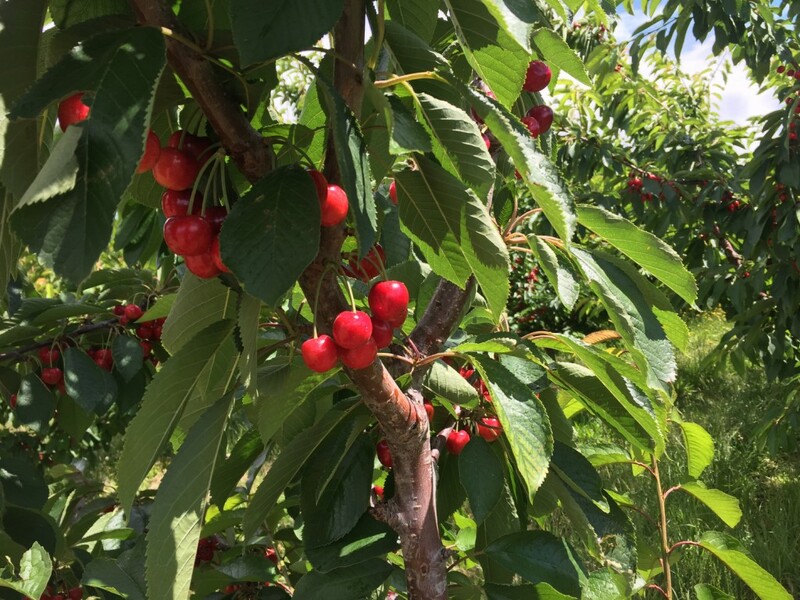 Plus, if the cherries are on, you can enjoy them as well. They are open Saturday and Sunday, noon till 5 pm (ish) until October (closed October through mid-May). 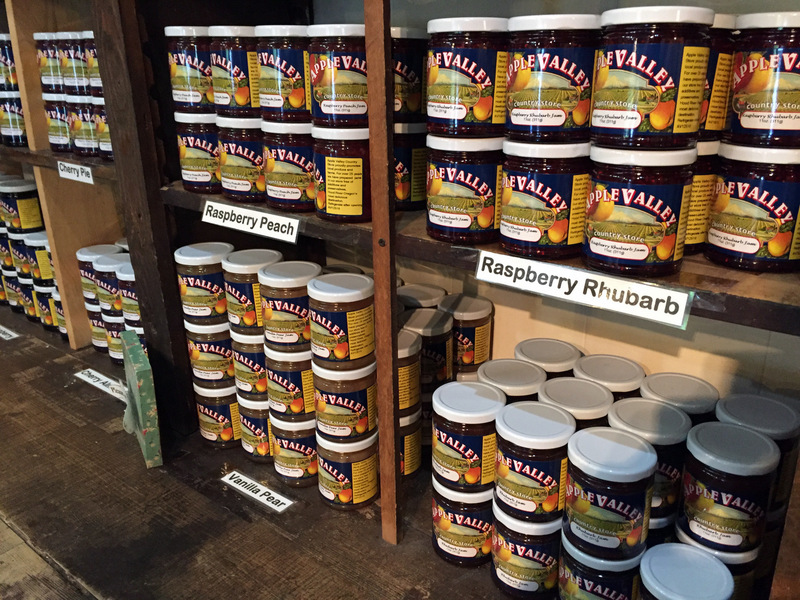 We stopped at the Apple Valley Country Store in Hood River to sample the jams, mustards and other preserves. I took home some mustard with sweet onion. 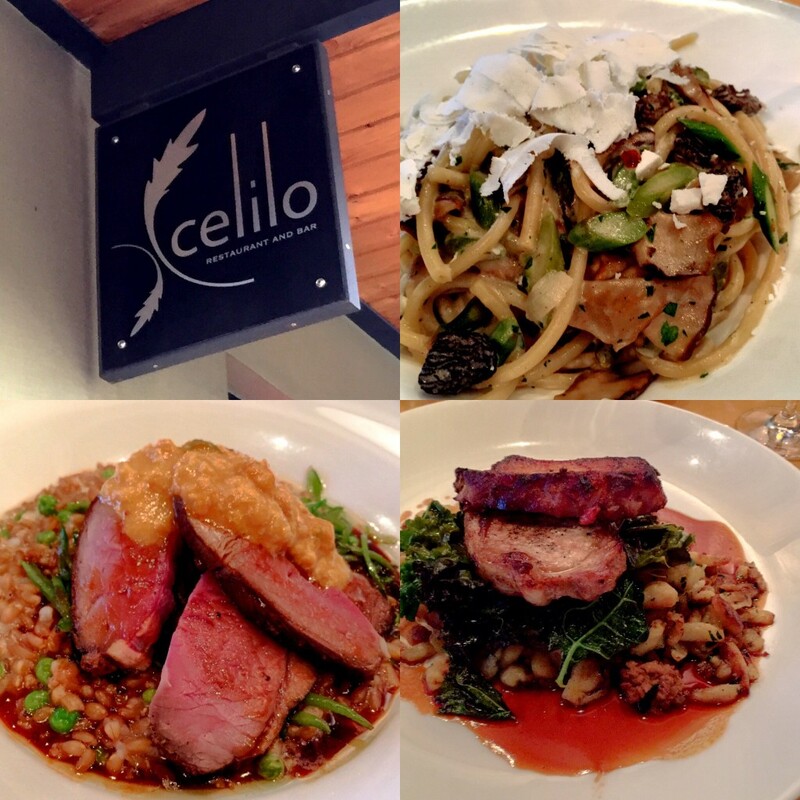 When you are planning your Columbia Gorge wine adventure, your first stop should be to make a reservation for dinner at Celilo Restaurant and Bar in Hood River. Chef Ben Stenn is passionate about local sourcing, sustainable practices, and honoring the ingredients. 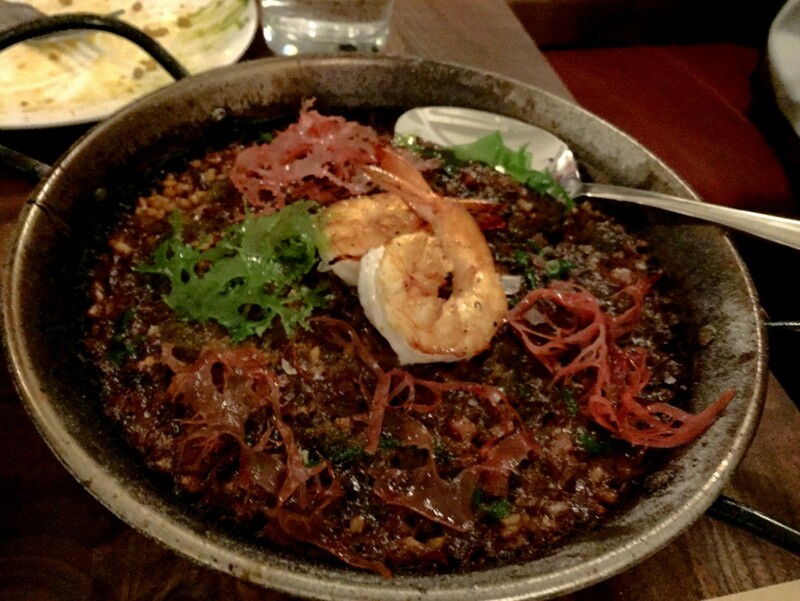 As a foodie, I was blown away by the quality of the dishes. 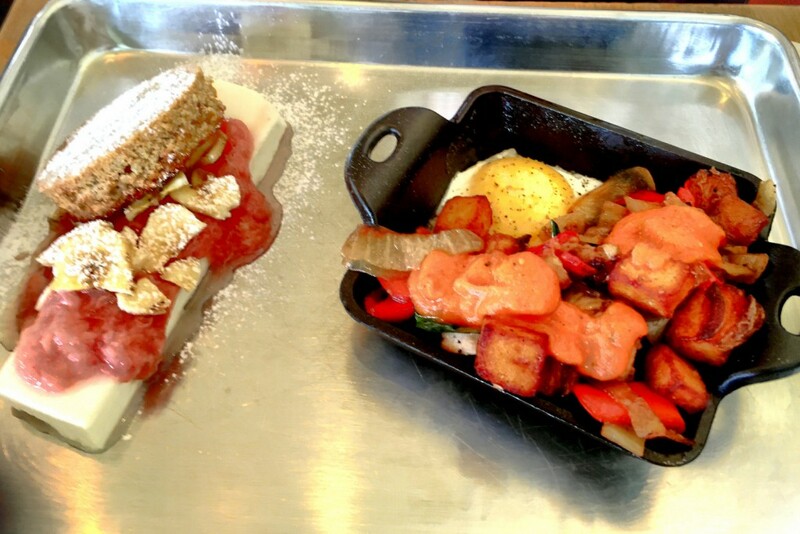 You can enjoy small plates or traditional entree-sized portions. I had the Pork Trio, with Payne Family Farm pork schnitzel, seared pork belly and house-made chorizo over purple cabbage and kale with mustard seeds and pork jus. Of course, you can have salmon. My fellow travel writer Elizabeth loved the wild mushroom bucatini. 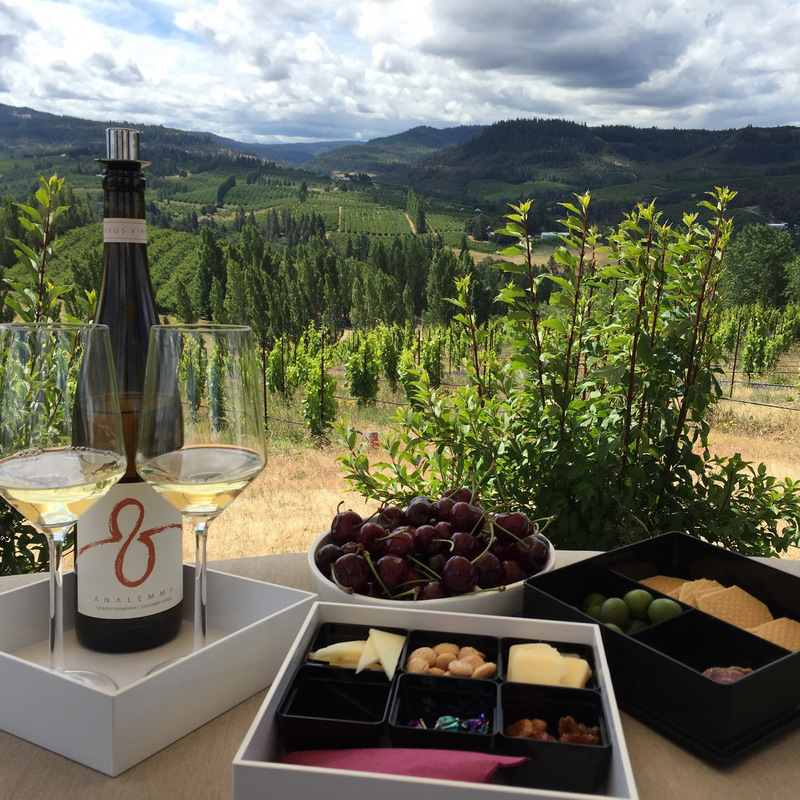 Celilo features Columbia Gorge wines by the glass. 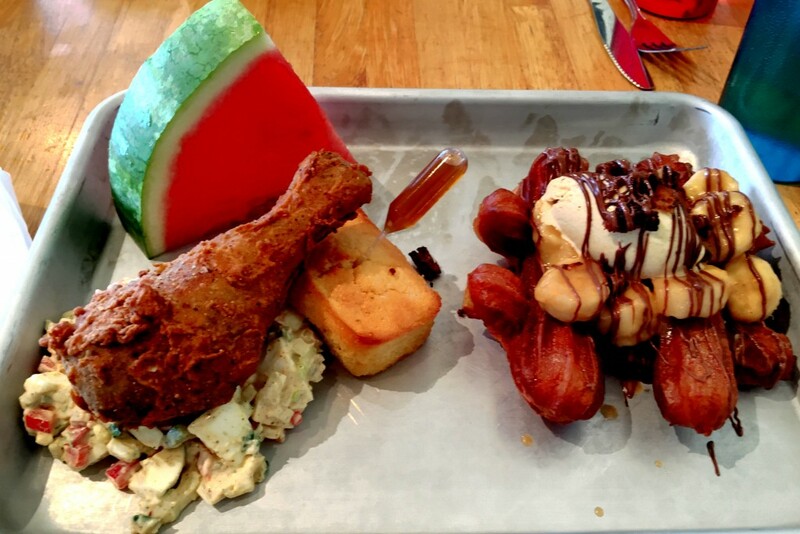 After one visit, this will be my first choice for dining in the Gorge. 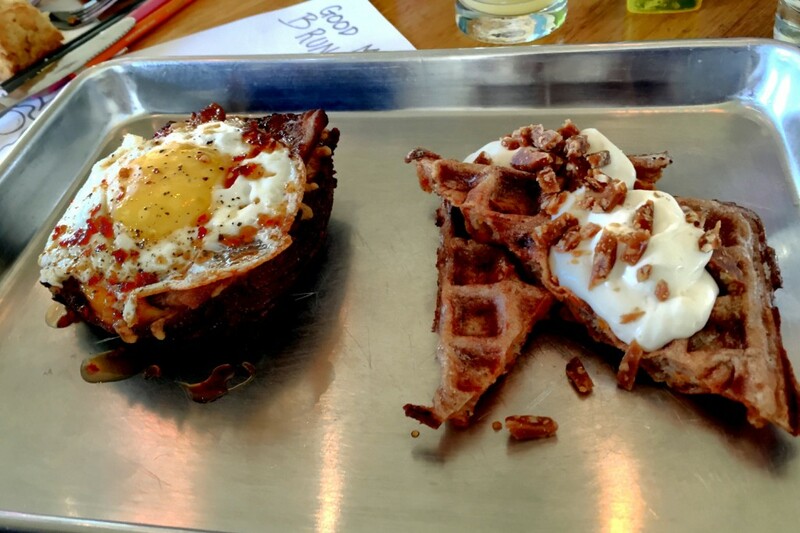 In fact, I think I’ll plan to stay over after the Columbia Gorge Marathon this year simply to dine there! 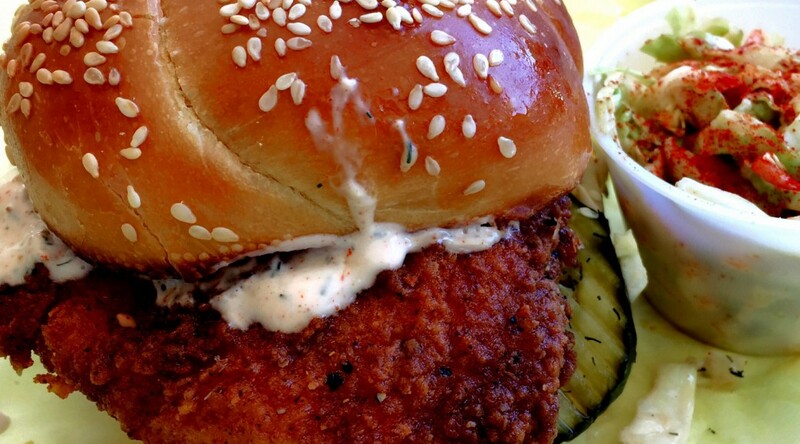 They are open for both lunch (11:30 – 3 pm) and dinner (5 pm – close). 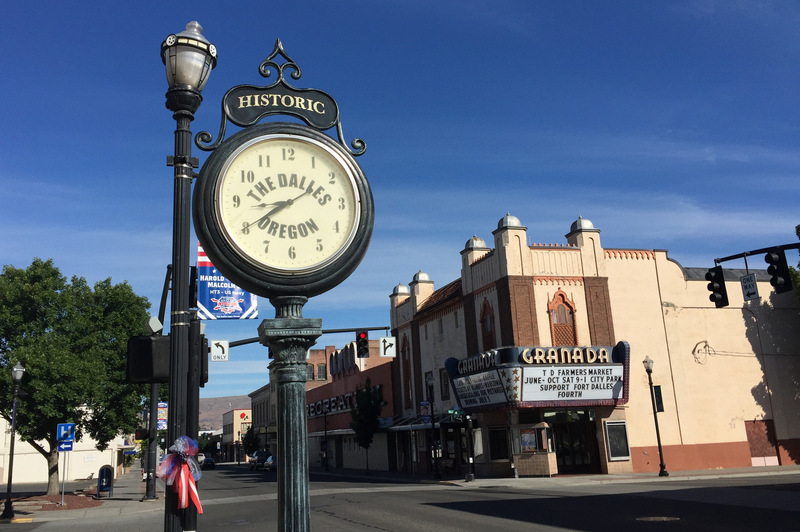 We were hosted for a night at The Dalles Inn, located in the historic downtown area. I was impressed in walking around to see the architecture, coffee houses and even a brewery. The Dalles Inn has a nice breakfast room included in the price and features large, comfortable rooms. 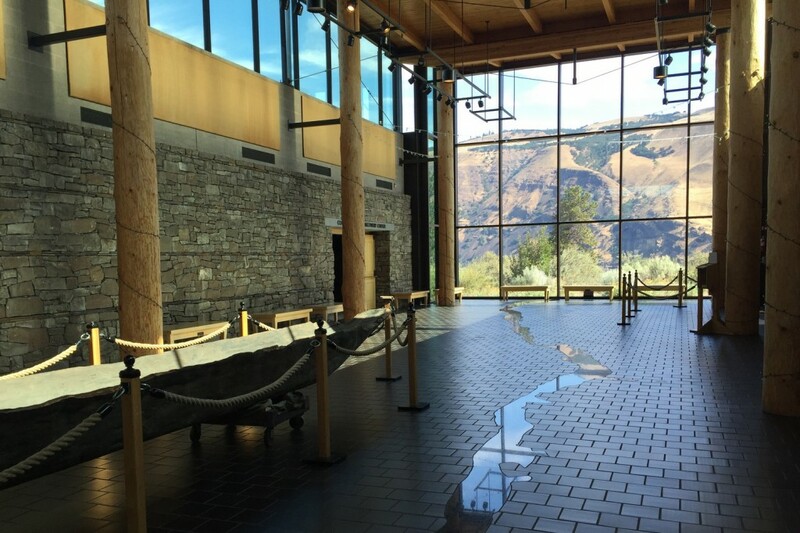 On the second day, after breakfast at the hotel we headed to the Columbia Gorge Discovery Center & Museum, located at the west end of The Dalles. I had previously visited the museum as it was the starting point for a half marathon. I really loved walking The Dalles Riverfront Trail for several miles, passing by an outpost of Google. It’s a great walk to enjoy on the paved trail. If you want to bike, run or walk, this is a great starting or ending point. You can get onto the trail in the downtown area of The Dalles as well. But today we browsed through the museum with the director, who may be even more passionate than I am about the geology and history of the Lake Missoula Floods that created the Columbia River Gorge. 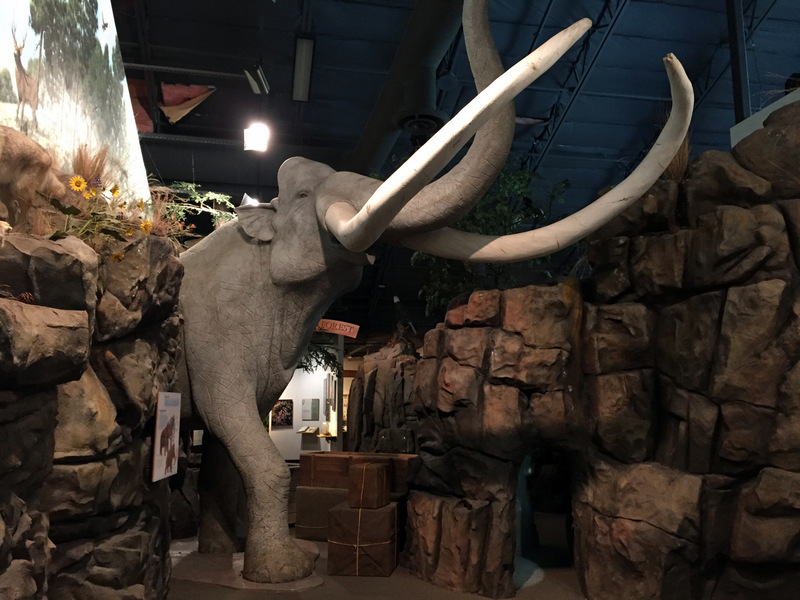 The museum is half science/nature museum and half history museum of Wasco County. 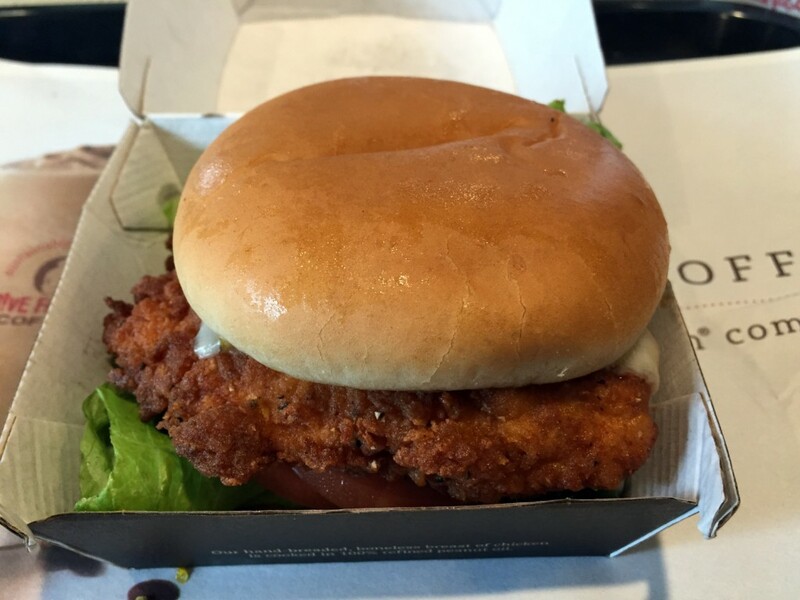 It’s worth at least an hour-long stop. 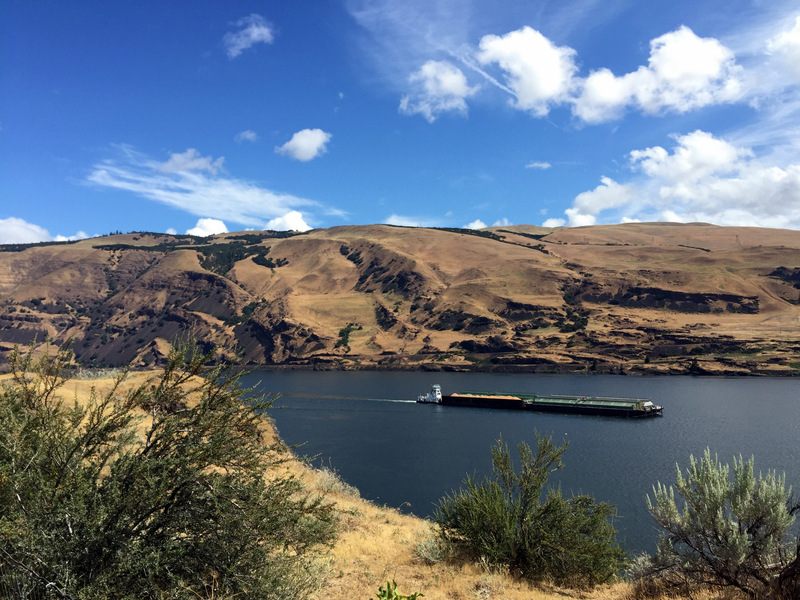 Next, we drove the historic Columbia River Highway to Rowena Crest for the grand view. 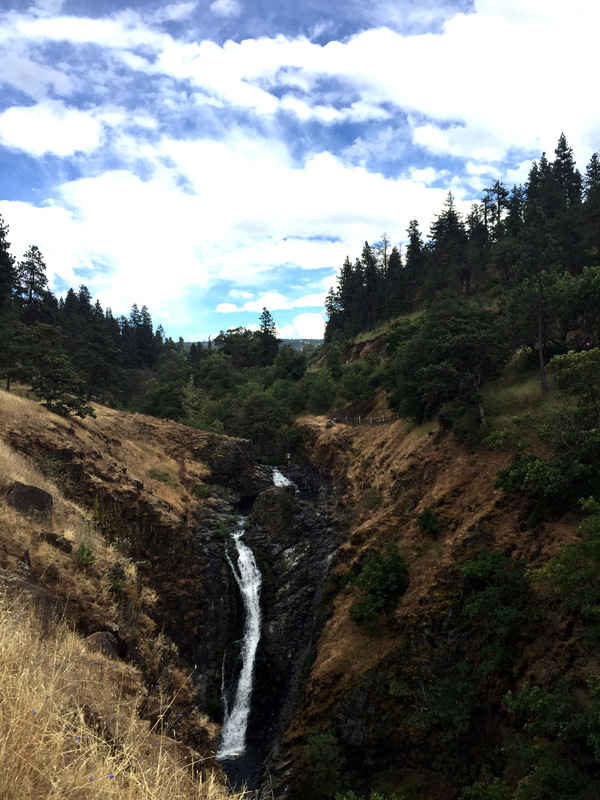 You can go for a hike here if you wish from the Tom McCall trailhead to McCall Point. Our final winery stop was at Analemma, where owners Kris Fade and Steven Thompson use organic and integrative techniques to grow their grapes in the Mosier Valley. The tasting room was lovely, but we got a real treat of the Countryside Picnic. 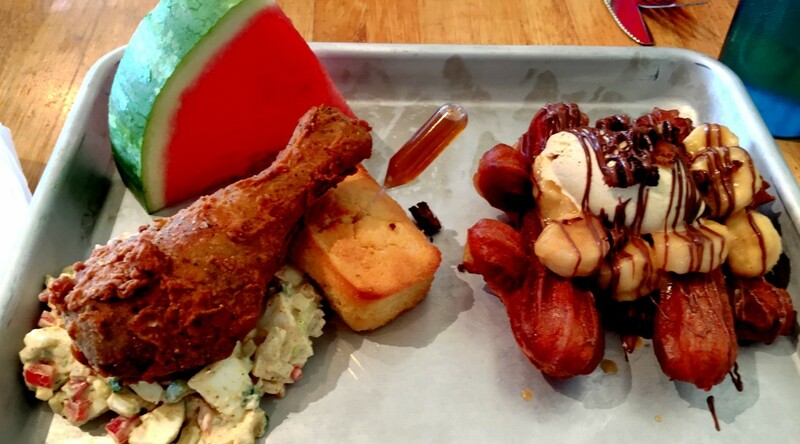 A picnic basket includes a bottle of still wine of your choosing, a carefully packaged charcuterie plate, sparkling water, and a few surprises. You are seated on a comfortable outdoor couch overlooking the valley, with binoculars to spot birds and wildlife. 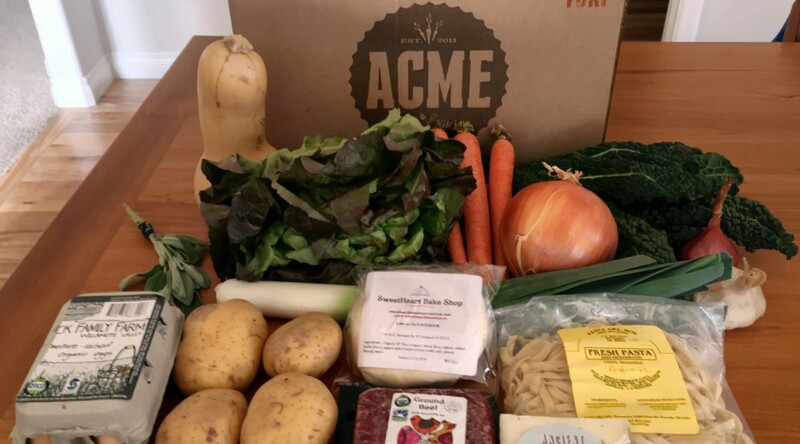 The cost is $65 per basket serving up to four guests, available Friday, Saturday and Sunday by reservation. They also do guided vineyard tours on Saturday and Sunday for $30 per person. The tasting room is open Friday-Sunday through October 31. 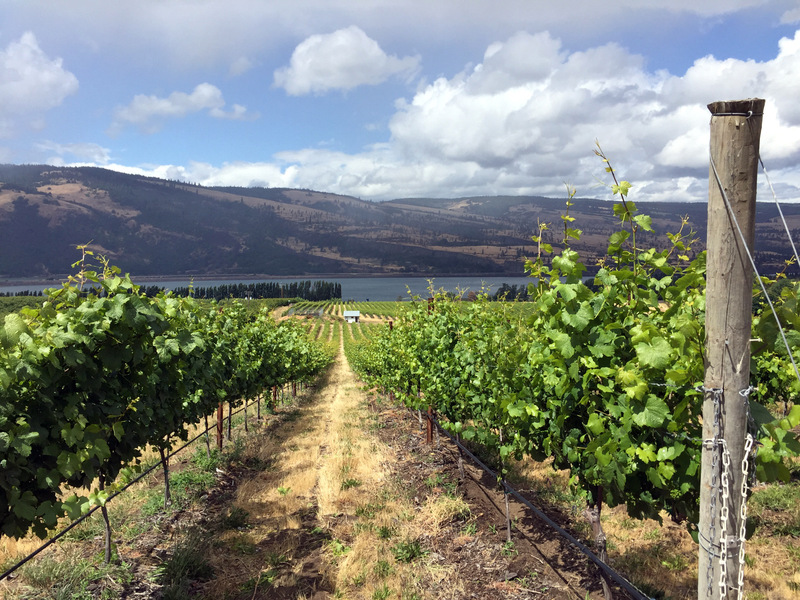 I encourage you to explore the wines of the eastern Columbia River Gorge. It’s a much more pleasant drive from the Portland area than the drive to Dundee or Carlton, much as I love the pinot noir in those areas. As is standard in the travel industry, the writer was hosted for this itinerary. 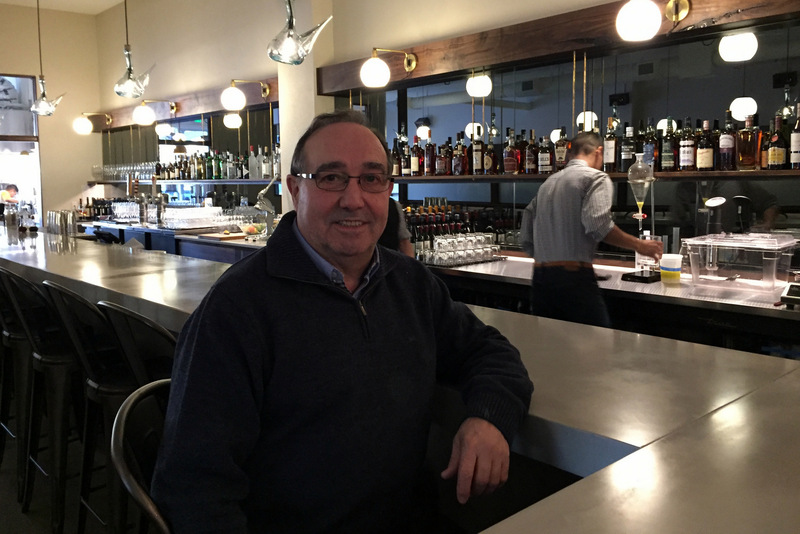 Portland paella lovers can enjoy Chef José Chesa’s second restaurant, named Chesa for his father, on NE Broadway. 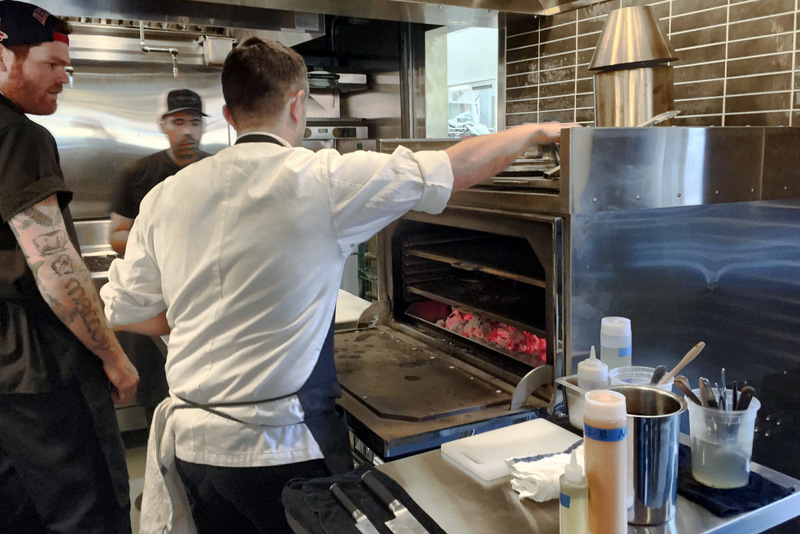 Chesa blends Catalonian tradition with modern techniques for tapas and paella from a Josper charcoal oven. 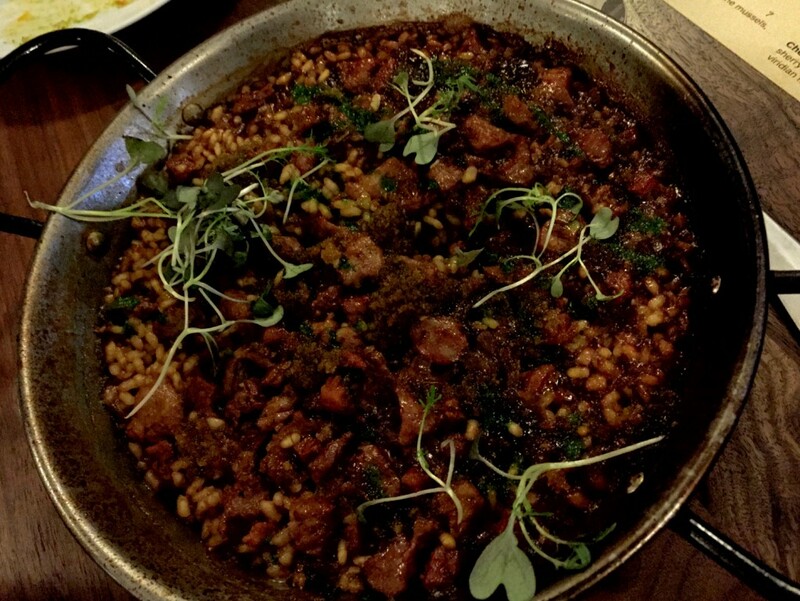 Along with business partners Cristina Baéz and Emily Metivier, it’s a great place to enjoy Spanish tapas and paella with a modern twist. The restaurant is larger than Chesa’s Ataula in NW Portland. The dining room has bench seating along the west wall, all the better to line up tables that can be combined or separated to allow for a variety of sizes of groups to dine together. The east side of the restaurant is a stand-up tapas bar, with bar stools and a bar program from bartender Tony Gurdian featuring sherry and vermut cocktails and sangrias, and a wine list from Metivier and Chesa Senior. The open kitchen allows you to see the paella and tapas action if you decide to sit on the southern end of the large space. The noise level was boisterous but didn’t drown out conversation or force you to yell to your dining companions. 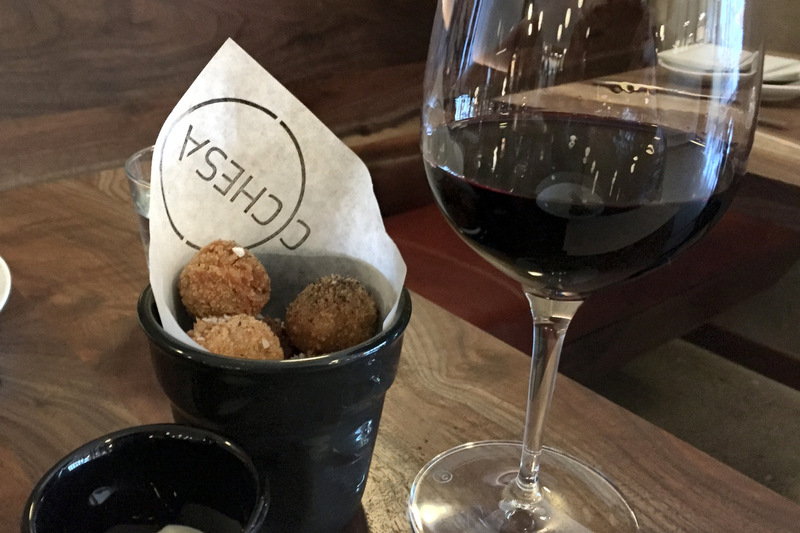 Chesa’s tapas are works of culinary art, each with a story and legacy of a childhood spent creating and appreciating authentic Catalonian food and the freshest, purest ingredients. 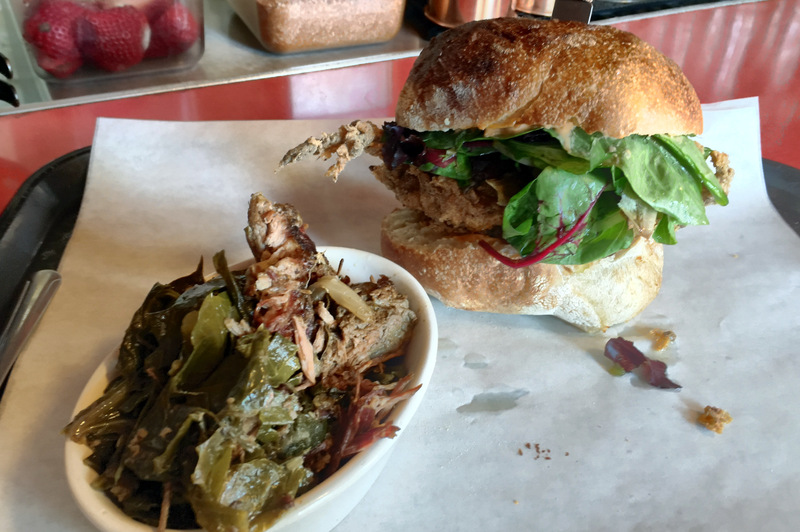 Try Almejas Chesa – dad’s Sunday clams, and savory Nuestra Croqueta with porcini mushrooms and a sage and porcini dipping aioli. 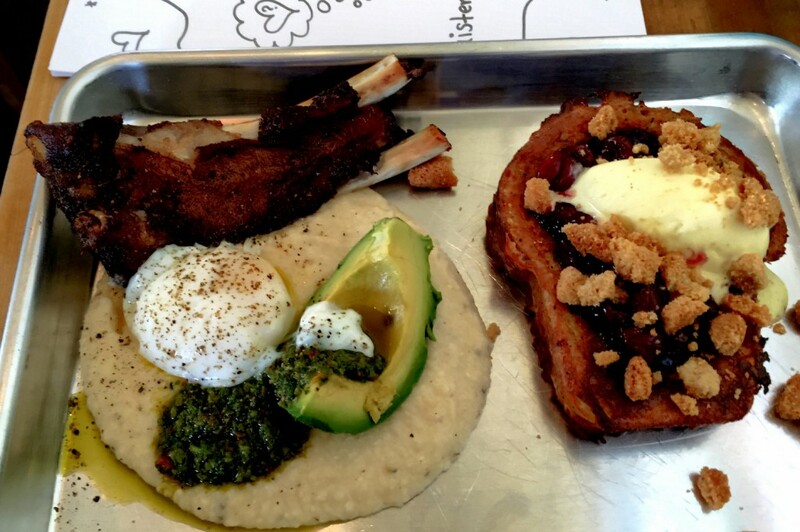 The paellas are the heart and soul of the menu, with six featured on the preview menu. The size was perfect to fill one person, especially after a few tapas. Costs for the paellas were in the $22-29 range. 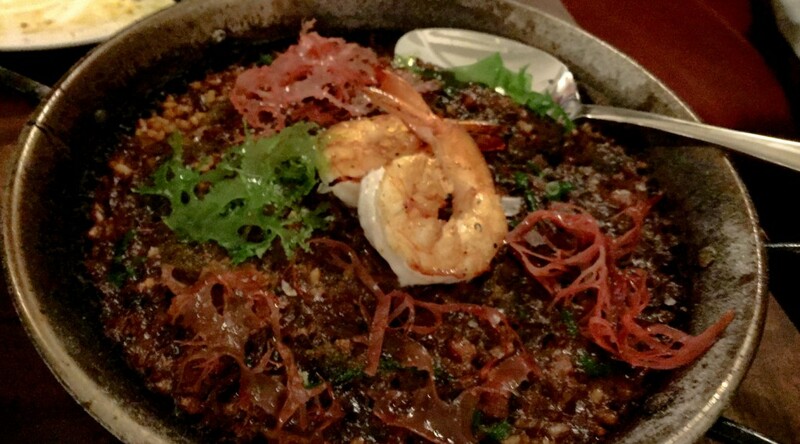 It is hard to choose between paellas featuring local Carlton farms pork shoulder, sherry marinated rabbit, seafood, braised oxtail, or vegetarian options. 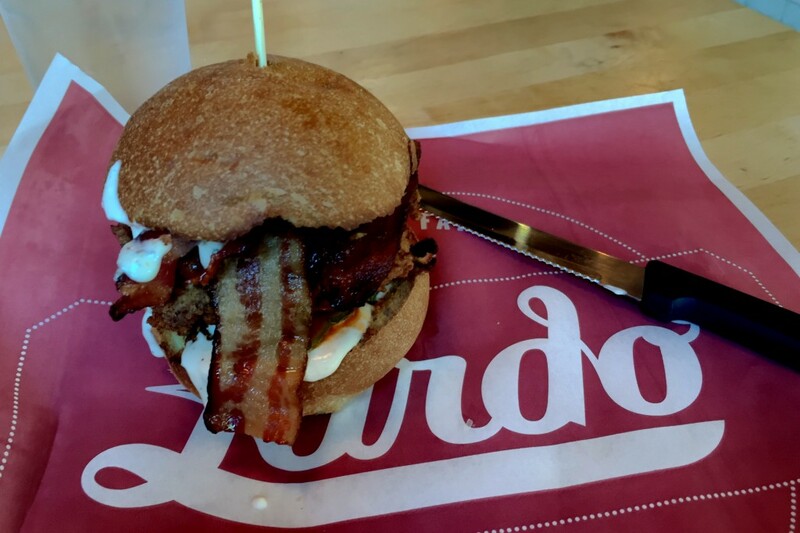 The flavors are deep and intricate, to be savored with each bite. 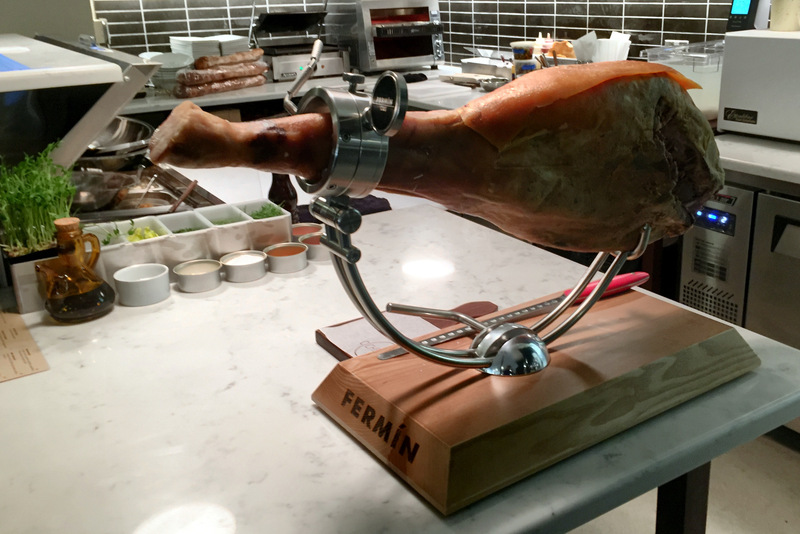 For iberico ham buffs, you can get slices from the carving station next to the open kitchen, inspired by Chesa’s grandmother’s kitchen. 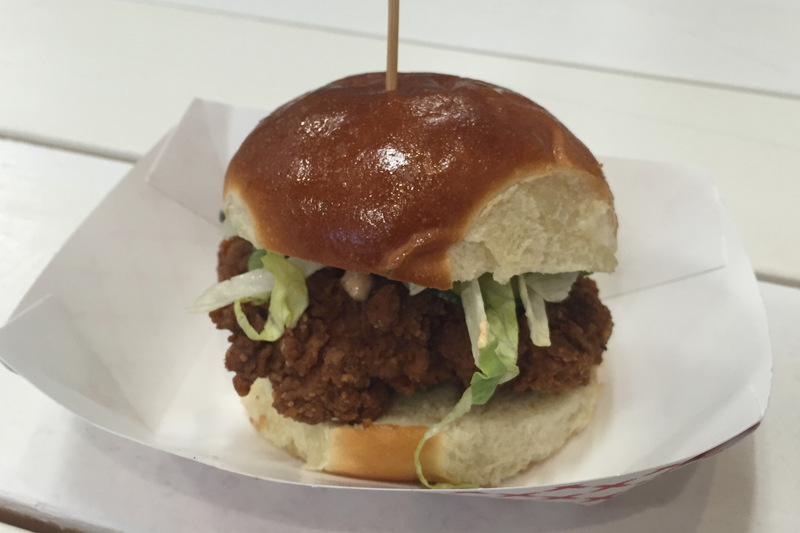 Chesa offers dinner service Tuesday to Saturday from 5 to 10 p.m. Address 2218 NE Broadway St.,Portland Ore. 97232. 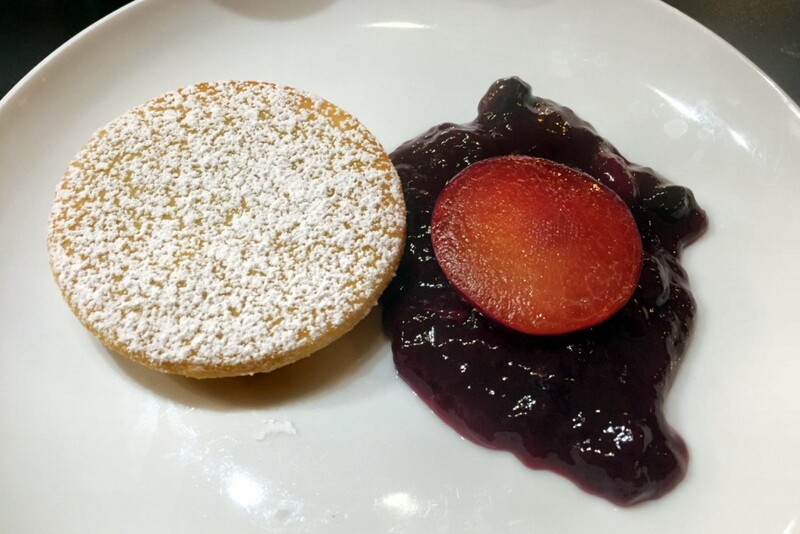 It is next door to their 180 xurros bistro, where you can enjoy the Spanish pastry, dipping sauces, drinking chocolate and coffee for breakfast and lunch hours.